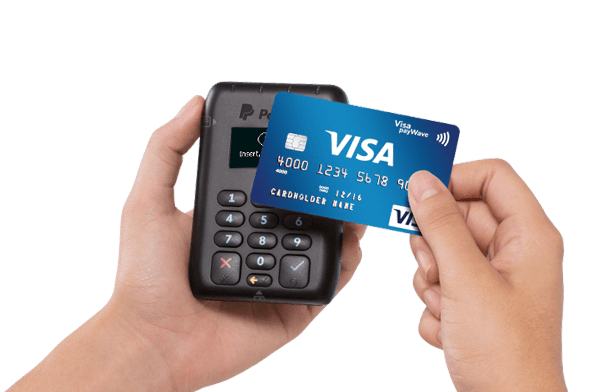 Start accepting EMV chip cards with Vend and PayPal. &ast;Must process $3,000 in your first 3 months for rebate. See terms. Upgrade to EMV with Vend Register for iPad and PayPal. New EMV regulations could mean greater liability exposure for your business. Switch to Vend and PayPal, get EMV compliant and reduce your liability risk. Pay no more than 2.7% per transaction. The more you sell, the less you pay. 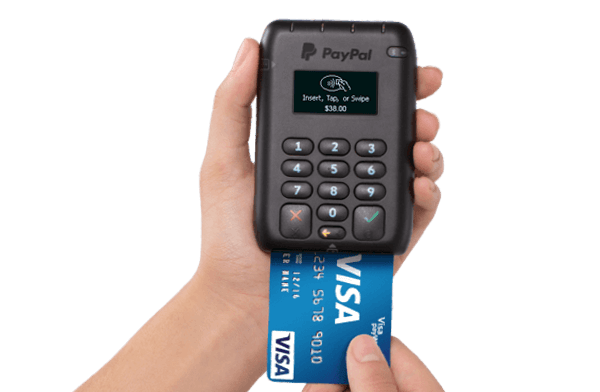 * Plus get a PayPal Chip Card Reader for just $49 after rebate. See terms. Everything you need to know about EMV chip cards. EMV is an abbreviation for the companies who pioneered this more secure credit card solution (Europay, MasterCard, and Visa), but what it means for your store is a dramatic reduction in fraudulent transactions. EMV, or “chip cards,” is a replacement for the magnetic stripe on the back of your current credit cards. Now, customer payment data will be stored on a secure chip embedded in your cards. As a retailer, you need to upgrade your payment terminal by October 2015 in order to comply with new payment regulations that took effect Oct 1. Traditional mag stripe cards are easy to duplicate and lead to a lot of fraud. To prevent this fraud, new regulations require all businesses to make the switch. Retailers who don’t make the switch to EMV technology can be held liable for fraudulent transactions that are made on non-EMV card readers. Upgrading means you will be using the most secure payment technology and you won’t be held liable for any fraudulent transactions. Sign up for Vend, connect PayPal to Vend Register for iPad app, and order your EMV certified reader. When you start transacting, pay no more than 2.7% on processing fees for US transactions*. What are you waiting for? Vend and PayPal for iPad. 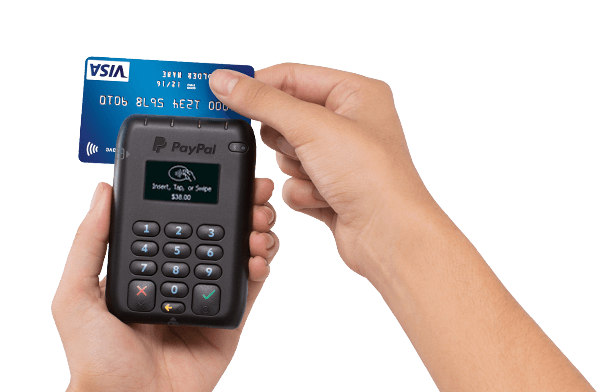 With PayPal’s new secure contactless Chip Card Reader, you can accept any form of payment in your store. Your customers, can swipe, tap or use a chip card and even pay with mobile wallets such as Apple Pay. 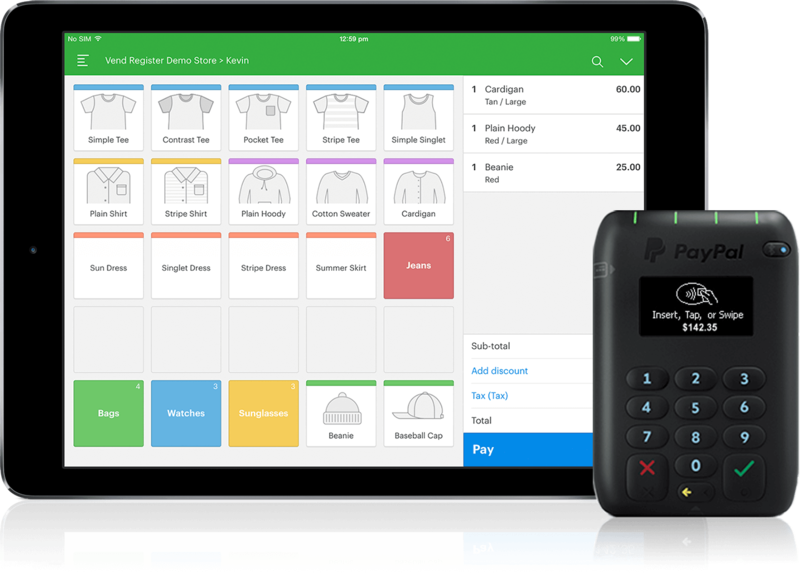 With Vend point of sale, you have everything you need to run your business. Control products, prices and customer data, across multiple locations, from any connected device. Track inventory in real time, and take the pain out of inventory counts. Easily setup and train staff, set targets, and track sales performance. Use features such as gift cards and Vend Loyalty to keep customers coming back to your store. Scale easily and add products, staff, registers and stores at the click of a button. From hardware to inventory, to adding a new register and expanding to new locations, Vend is there to help 24/7 global support team for assistance in your timezone. With Vend Register for iPad, you can sell your products in your store, or take your POS with you. Integrate with PayPal and start accepting all forms of payments including credit, debit, and even Apple Pay. Plus, you can sell online seamlessly as Vend makes it easy to fully sync with the ecommerce stores you love. Track sales, revenue, and profit margins by product, brand, staff, or store. Real-time dashboard provides an up-to-the-minute snapshot of key metrics. Actionable insights into the best performing products and customers.